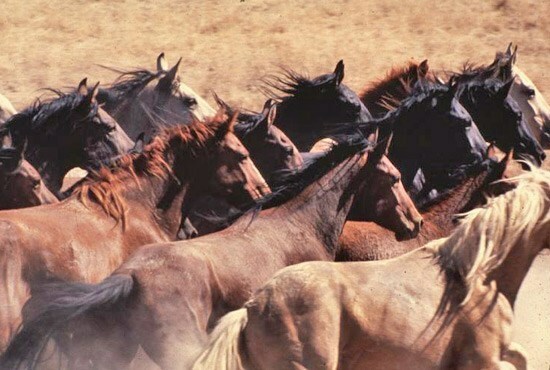 Why are American Wild Horses and Burros in danger? 100 years ago an estimated two million mustangs roamed the Western range. But today there are fewer than 90,000 — and the government, through the Bureau of Land Management (BLM), continues to reduce the herds even further. In fact, the BLM is seeking to achieve what they consider to be an "Appropriate Management Level" (AML) of only 27,000. 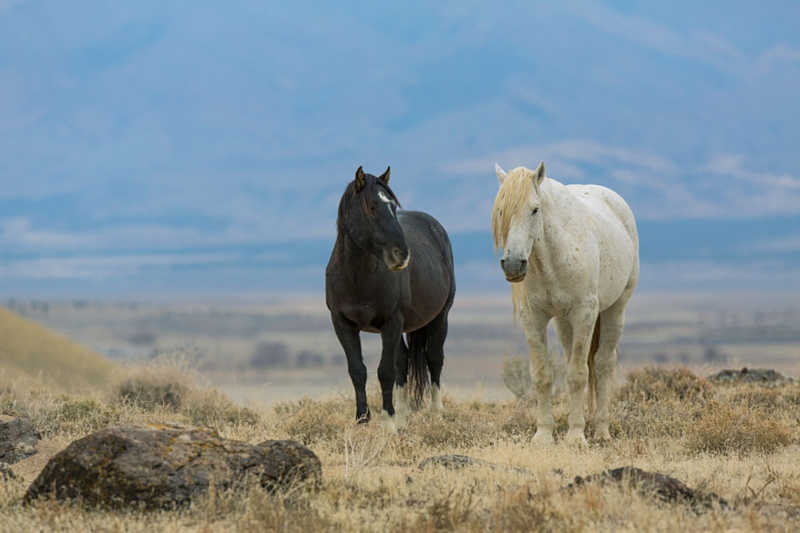 ​There are now more than 50,000 horses in BLM holding facilities.The agency spends nearly 2/3 of the wild horse and burro program’s annual budget ($49 million) to care for them, all paid for by the U.S. taxpayers. However, the animals the BLM is responsible to protect are instead being eradicated, some herds being wiped out completely only to be corralled in long-term government holding facilities. 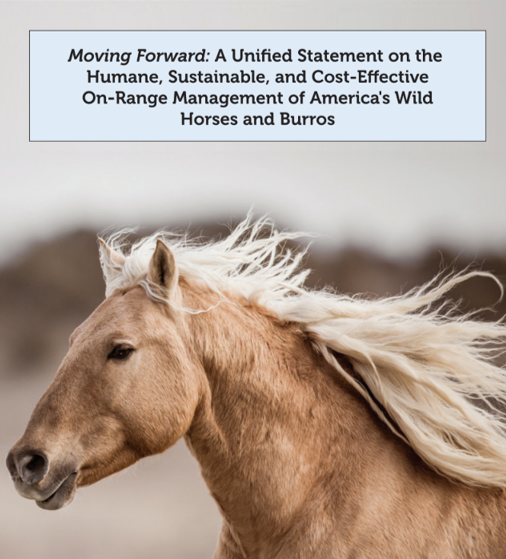 - 70% of the BLM budget is spent on mustang round-ups and stockpiling, while only 6% is spent on fertility control and keeping horses on the range. - Feeding wild horses in government holding facilities cost the American taxpayer $100,000 every day. - Taxpayer-funded livestock grazing on public lands costs over $132 million a year. 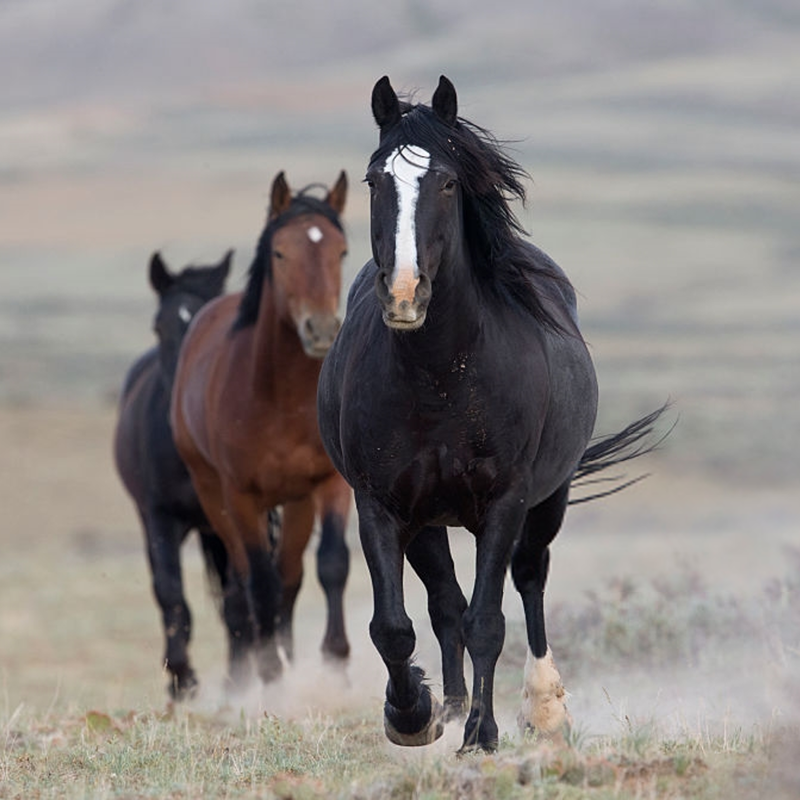 TAKE ACTION FOR WILD HORSES AND BURROS! 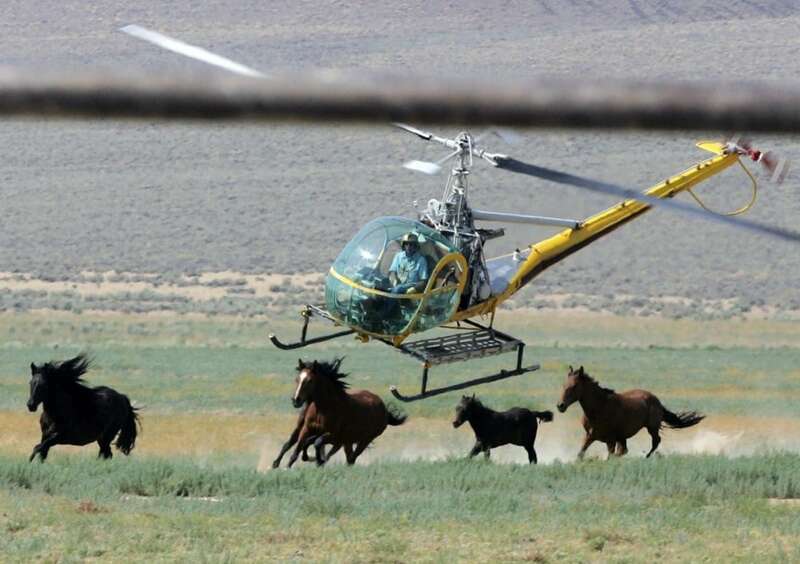 Wild Horses are under the constant threat of invasive "management" methods, including accelerated roundups, sterilization, and even lethal culling. However, there are humane alternatives available – including the use of safe and efficacious fertility control (PZP).